With little personal mail today, some of the classics of odd envelope messages may be lost on a generation that communicates via email. SWAK for example -- although fitting nicely into the texting template of acronyms -- still means Sealed With A Kiss and not So What Are Kids, or some other message indicated by keyboard shorthand. 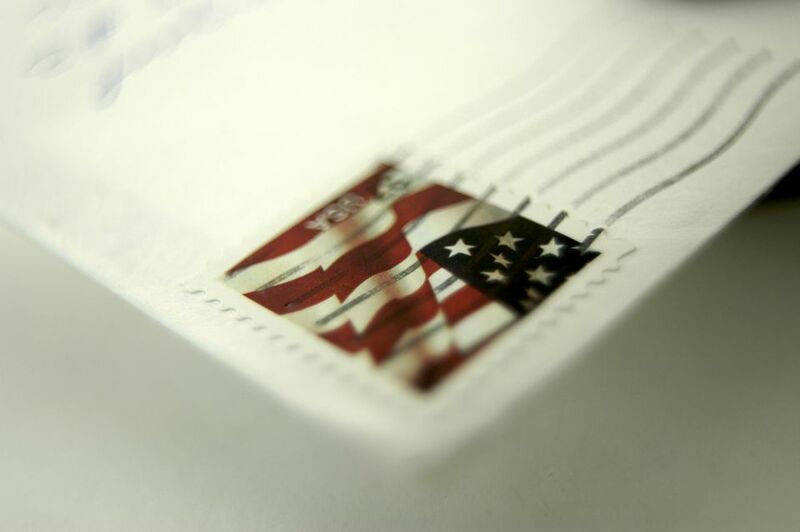 On this 4th of July weekend let's consider the message an upside-down flag stamp on an envelope conveys. It has different meanings for different people, but you can be sure that Golden Girl Blanche's interpretation -- code meaning you want to get it on with the mailman -- is way off the mark. Some wives and sweethearts of those serving overseas still use the trick with inverted or oddly positioned non-flag stamps to communicate their depth of feeling to the recipient even before mail is opened. Of course, an upside down flag has always signaled distress and an indicator that something is wrong beyond the "I need you" message that's behind positioning stamps on missives to loved ones. If you see an upside-down flag stamp on an envelope today, it may be an echo of the unpopular Viet Nam war, when protesters used the gimmick as a method of protest. Upside down: I love you. Sideways, head right: Love and kisses. Sideways, head left: I'll never leave you. Diagonal to the right: Marry me? Diagonal to the left: Yes, I'll marry you. Just be careful not to send a letter to the IRS with the stamp sideways, head right. Things could get strange.